Being the oldest car brand in the world it's no surprise that Mercedes has been one of the most important trailblazers in the industry. Since the company was created in 1871 as Benz & Cia it has produced some of the finest cars in a wide range of models, always sticking to its tradition of using only the highest quality materials, the most advanced designs and most importantly an unwavering commitment to excellence. Mercedes, is today a pioneer in car innovation, some of its actual projects include developing driverless parking in real-life and engineering new motors like the OM 654 four-cylinder diesel engine which is able to reduce fuel consumption by 13%. Keeping its commitment to preserve the environment and reduce emissions Mercedes has recently put out its new concept of EQ or electric mobility aimed at giving the customers a comprehensive electric mobility ecosystem of services, products, technology and innovations that will extend beyond the vehicle itself. The goal of it all is, in the end, to come up with reliable premium car that has no emissions whatsoever. Giving all these truly outstanding developments and innovation achievements, it should come as no surprise that in 2017 it managed not one, but two "Automotive INNOVATIONS Awards". Mercedes Benz has proved time and time again to be a leading brand in the world of automobiles. If you're interested in acquiring one, you should check our competitive used Mercedes finance deals starting from 50 per month. In the shade of Blue, this car has 10000 miles clocked-up on the dash. It consists of a Automatic 6.0l engine and runs on Petrol. 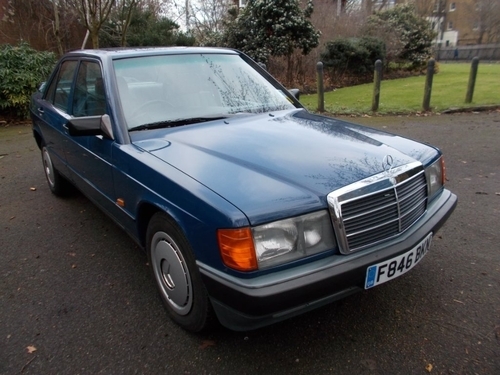 It could be worth considering this Saloon if you want a used model of this Mercedes-Benz. Come to test-drive it. Now up for sale incorporating Automatic transmission with a 4000CC Petrol motor. 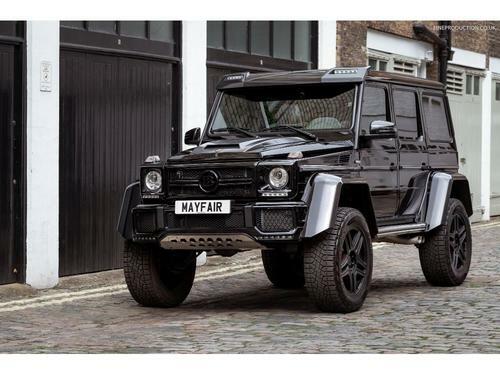 This used car could be yours to own for the total cost of just £249,950 - find it on sale at Mayfair Prestige in London. This particular car dealer is currently offering an assortment of low priced finance options, with estimated flexible monthly repayments starting out at £5766.41 per month. Just get in touch to find out more. 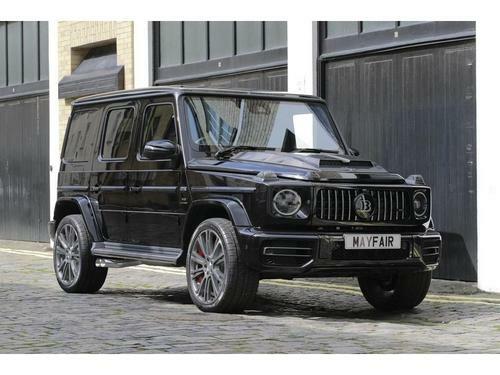 Are you thinking of a Mercedes-Benz G CLASS SUV? Consider going for this particular model coming in the tone of Black that has 11250 miles clocked up on the dashboard and a L Petrol motor. Discover more about the qualities of this used car, simply call or email the sales staff at Mayfair Prestige for an in depth discussion. 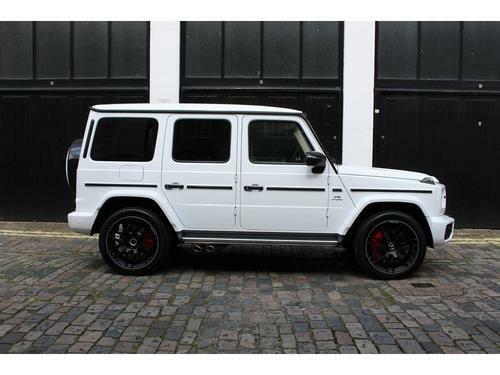 This car has become available for you to purchase at an outstanding price, with financial options at hand with flexibility to assist you in buying this G CLASS. You can be the new owner of this vehicle in no time. This SUV second hand car has a broad variety of features and specifications: To be the next happy owner of this SUV used car, pay us a visit to talk to part of our sales team and be the one to get this fantastic bargain, before it's too late. Now on display at this car dealership is this low mileage, nearly new used car that has a Automatic gearbox and a 4.0l Petrol engine. 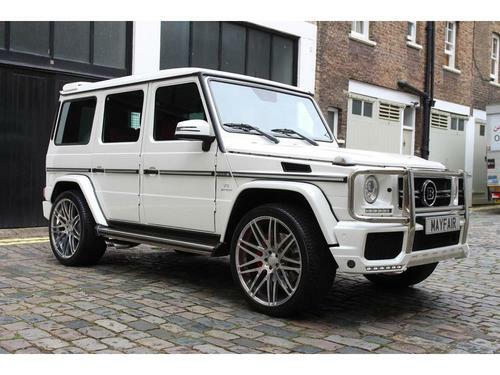 Have a better look at this Mercedes-Benz G CLASS 4.0 G63 AMG AMG SPEEDSHIFT PLUS 9G-TRONIC 4X4 (S/S, try its full range of features and specifications, go down to this dealership in London or call to speak to their sales team and organise a test drive. Painted in a shade of Silver, this 2 door, 4.0 litre Petrol Mercedes-Benz AMG GT GT 4.0 S EDITION 1 SPEEDSHIFT DCT , with a Automatic gearbox is currently available for a test drive. As you can expect of a model in this class, this Mercedes-Benz AMG GT is included with a vast quantity of useful features and specifications for a better, more comfortable driving experience. 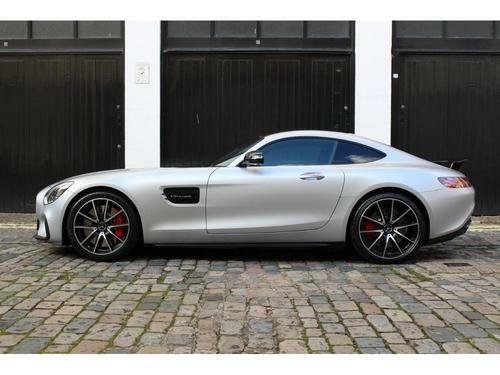 This AMG GT is for sale from Mayfair Prestige with the option to spread the cost with a loan. Payment plans commence from just £2075.17 each month. The Automatic transmission and 6.0 Litre Petrol engine are only a few of the qualities that this CL 6.0 CL600 is offering. 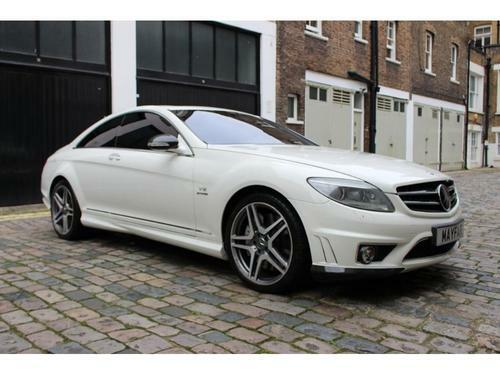 Get in touch with Mayfair Prestige and find out more about booking a test-drive in this Mercedes-Benz. 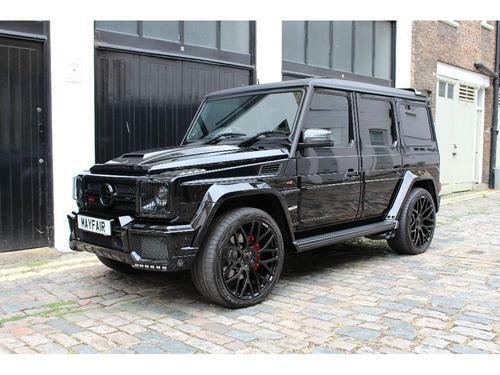 An incredible price from this dealership on this G CLASS with Automatic transmission and a 4000 CC Petrol engine. It's second hand, but in an excellent, like new condition in and out. Book an appointment for a test drive by getting in touch with Mayfair Prestige as soon as possible. .
On show at Mayfair Prestige is this CL incorporating a 6000 CC Petrol motor with Automatic transmission. Book a test-drive today, get yourself in the driver's seat to experience how it feels on the road. Presented in a shade of Black, this 5 door SUV vehicle has a Petrol 5.5 ltr motor and Automatic transmission with 2111 miles on the dashboard. 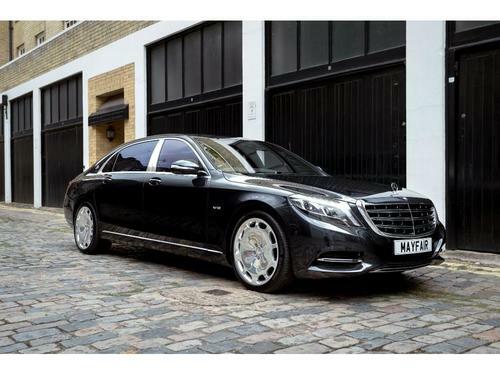 Get in touch with Mayfair Prestige now to find out more about this vehicle. This motor has been on the road for less than a year and has a mere 29187 miles clocked up on the dash. 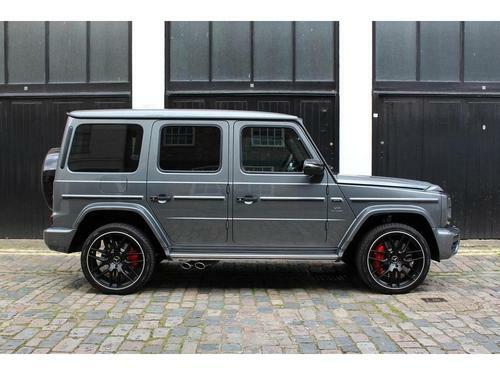 Book to go for a test drive in this G CLASS, get in touch or pop in and have a chat with their helpful sales team. Giving the new privileged owner a brilliant and luxurious level of transport, this motor is finished in the shade of Silver, contains a 3.0 Litre Diesel engine with Automatic transmission and has 63000 miles on the dash. 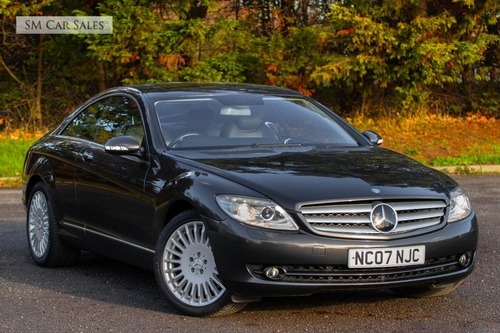 At only £11,950, this Mercedes-Benz is expected to sell very fast. Don't miss out on this incredible deal from Mayfair Prestige in London. Now available for sale is this second hand car on offer at the great price of only £13,295. President Motor Company also gives its customers the possibility to purchase using achievable monthly repayments with repayment packages starting at just £306.72pm. As expected of a high quality vehicle from Mercedes-Benz, it includes a number of extra specifications in order to enhance your driving experience. If you think this one could be the model that you are looking for, just call or email the knowledgeable sales staff to arrange an appointment to have a test drive in this Mercedes-Benz E CLASS. 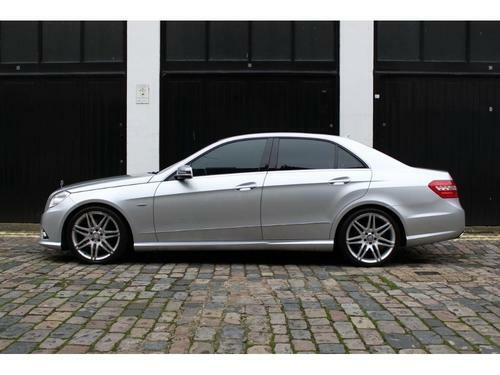 Take a look at this Mercedes-Benz C CLASS that contains a 2.1l Diesel engine with Automatic transmission. 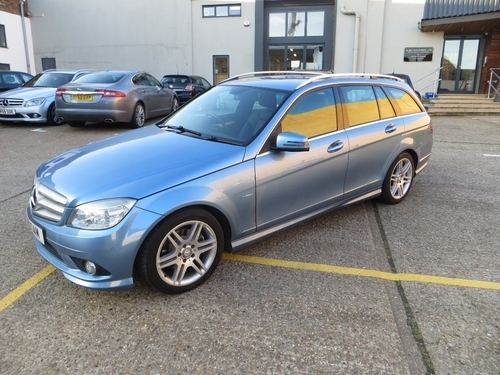 This second-hand model from us at President Motor Company in London is available for just £5,950. Do you want to find out more about this used car? Feel free to chat to one of their knowledgeable advisers. Located at our dealership in in the London area is this Mercedes-Benz comprising of a Petrol, 3.7 ltr engine and Automatic transmission. Up for sale in the tone of Silver with 79000 miles clocked-up on the dash. This car is being advertised right now. Act fast and visit the knowledgeable personnel to organise a more in depth discussion. 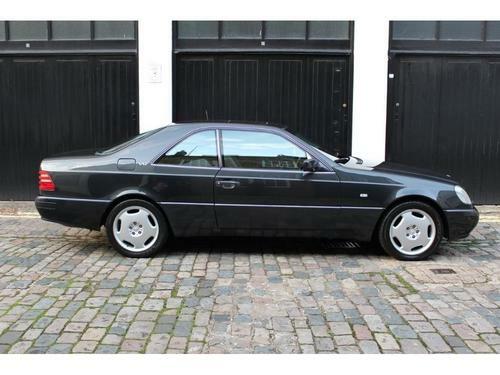 Finished in the shade of Grey, this 3000CC Diesel Mercedes-Benz E CLASS with Automatic transmission is currently available for viewing. Being the one behind the steering wheel of this vehicle is a great way to experience what it's like to own it. Email for a test-drive with President Motor Company as soon as you can. 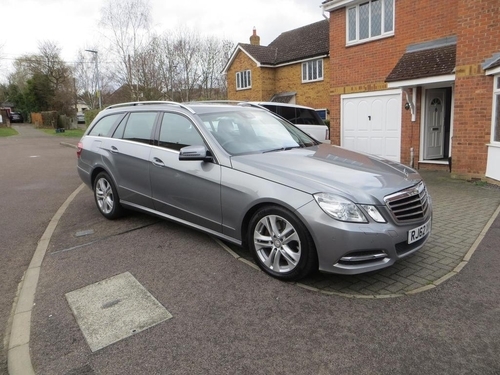 Priced at only £3,995 is this popular, best selling Mercedes-Benz 190 which incorporates a 2000cc Petrol engine with Automatic transmission. This second hand model at this dealership in London has 177000 miles on the clock and the added benefit of being supplied with a full service history. Simply contact South London Car Sales to obtain more info or get down to the dealership to go and see this second hand car in London. Grab the opportunity to be the new owner of this CL that is now up for sale at just £7,995. It comes in a GREY finish, has 122000 miles clocked up on the dash and has a 5.5 L Petrol engine with Automatic transmission. Using this dealership's fabulous finance deals beginning from as little as £184.45 per month, this car can be yours to take home. Showing 1-18 of 21,638 items.